Wosene Worke Kosrof is an Ethiopian-born fine artist who has been creating art for decades. 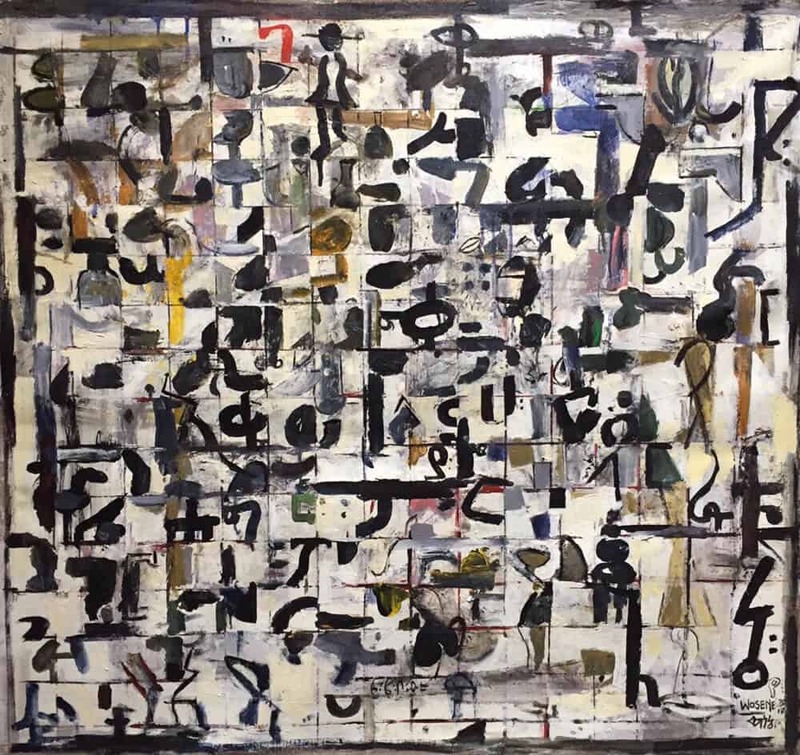 His most iconic features presented in his work are those of Ethiopian Amharic – the official language of Ethiopia – used to describe, fuel and enhance his pieces – ultimately creating a unique take on the use of script in art. Wosene Worke Kosrof, Words: Future Tense, 2012. Acrylic on canvas, 85 x 85 cm. Courtesy of the artist & Addis Fine Art. ART AFRICA: You have been working with paintings and sculptures as your medium of choice since the start of your career, can you tell us a bit about what influenced you to work within these mediums? 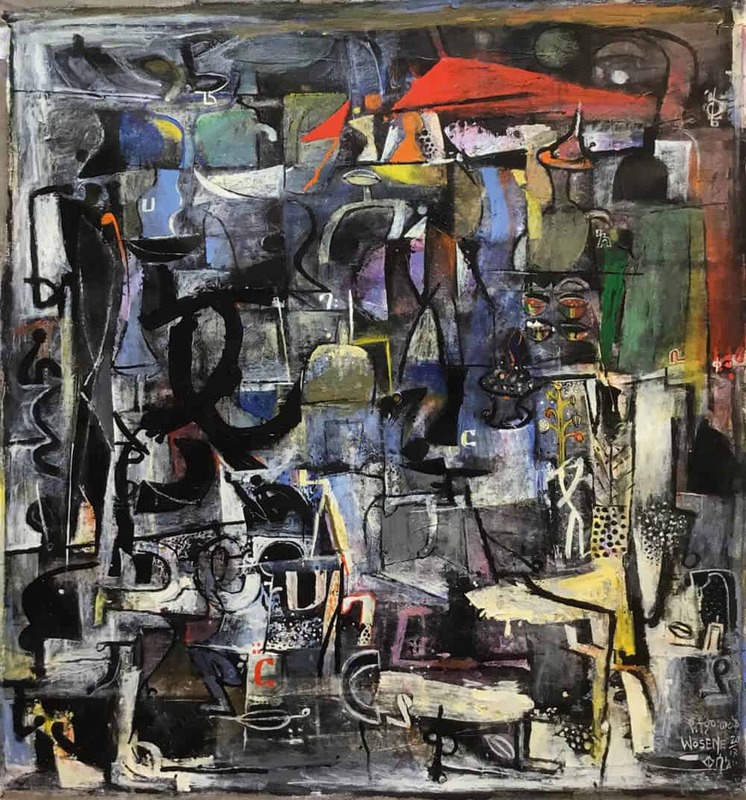 Wosene Worke Kosrof: When I was an undergraduate at the School of Fine Arts in Addis Ababa, I studied painting and drawing – from classical painting to modern abstract art, including traditional Ethiopian Coptic liturgical art. 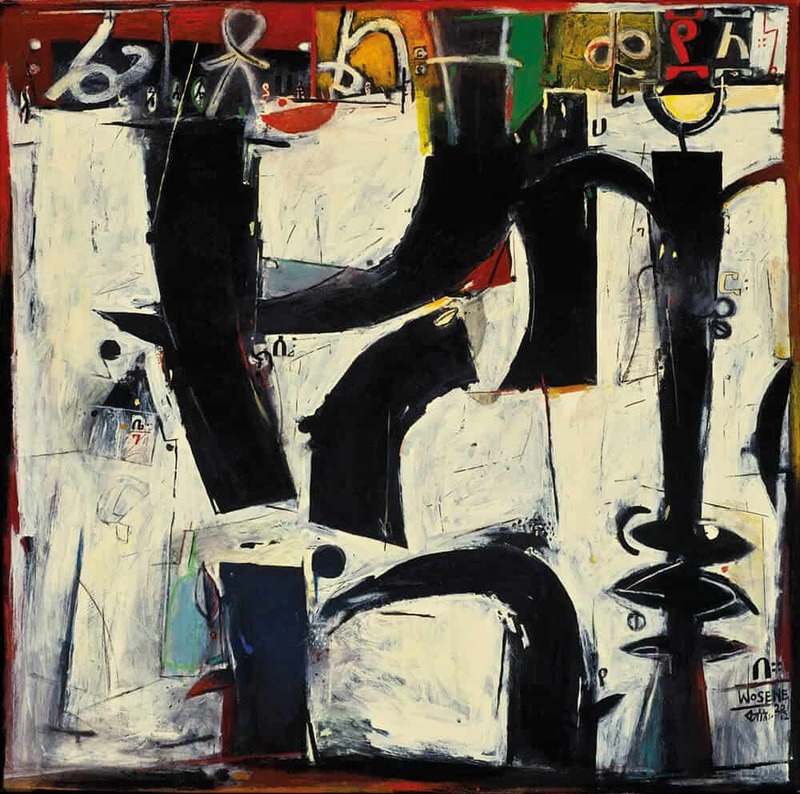 As a student, I began experimenting with abstract painting, and also incorporated script forms in those early years. Coptic icon paintings, as you may know, combine religious images in the top half of the painting, with writing in the bottom part of the work. Those iconic works, along with magic scrolls – long pieces of goatskin on which priests and natural healers combine writing and images of saints, angels, and devils – all influenced my early paintings. 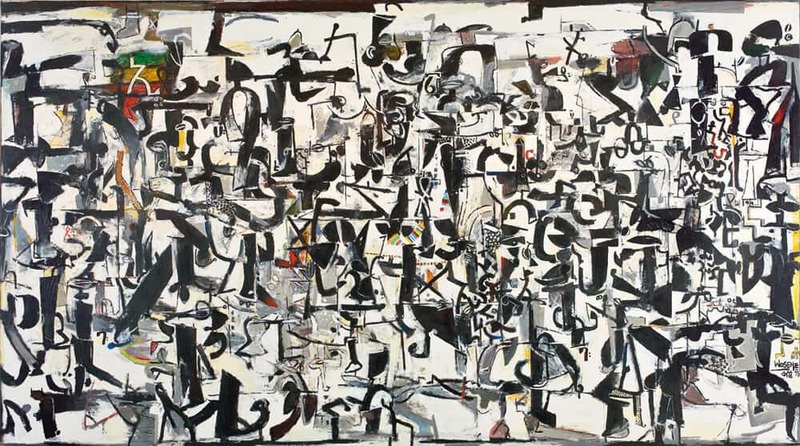 However, I wanted to break through the traditional format of icon paintings, and by the late 1970s, as a graduate student at Howard University in Washington, DC – where again I focused on painting and drawing – I began exploring more intensely the script forms of the Amharic language as aesthetic elements in their own right. Wosene Worke Kosrof, Night of the Full Moon, 2017. Acrylic on linen, 94 x 90 cm. Courtesy of the artist & Wosene Worke Kosrof. You use Amharic Fiedel in your paintings and sculptures, this language is as interesting as it is unique. Amharic Fiedel is the traditional mother tongue language of the Amhara people of Ethiopia and spoken in some cities and towns across the country – why this choice of language when your work is exhibited and based in the international space – a space not entirely accommodating to Amharic Fiedel? Amharic is the national language of Ethiopia and not the language of the Amhara people. It’s the main language used in government and taught in schools. There are three major languages in Ethiopia: Amharic, Tigrinya, and Oromia, and about 78 different dialects – though Amharic is the lingua franca of the country. The contemporary script forms are derived from the liturgical language, Ge’ez from Axum (Tigray region), and it is this script that I have worked with over the past forty years. It is the same script used in the Coptic icon paintings. My goal, using the script forms, is to highlight the beauty and expressiveness of the forms of the language, and not to consign my work to any ‘tribalism’. I create my paintings for international audiences, and not specifically for Ethiopians, or for Amhara people. My works seldom have literal words; rather I disassemble, elongate, deconstruct/re-form the script to create a ‘visual vocabulary’ that can speak and be ‘read’ by all viewers. My works are primarily abstractions of the script forms, what I call my ‘WordPlay’. Wosene Worke Kosrof, Beauty of Your Own IX, 2017. Acrylic on linen, 121 x 116 cm. Courtesy of the artist & Addis Fine Art. You use various script forms in your work – why the continuation of script forms among your art pieces and what symbolism/significance does it hold to you as an artist and an Ethiopian? During my graduate studies at Howard University, I became fascinated and captivated by the visual script forms, and I use only the Amharic forms in my paintings – though I may present them in ways that reflect my love of other scripts, such as Japanese, Chinese, Arabic, Hebrew. Since I don’t read those languages, I’m like a child seeing them as beautiful forms – and I move the Amharic script in ways that may look like other languages. But, in essence, I use only the Amharic script in my works, but augment their forms with elements of other languages. Many foreigners have commented over the years that the elements in my paintings remind them of their own languages. I learned Amharic sounds and script as a small child in the local church school and loved sounding out the various syllables that we had to ‘chant’. 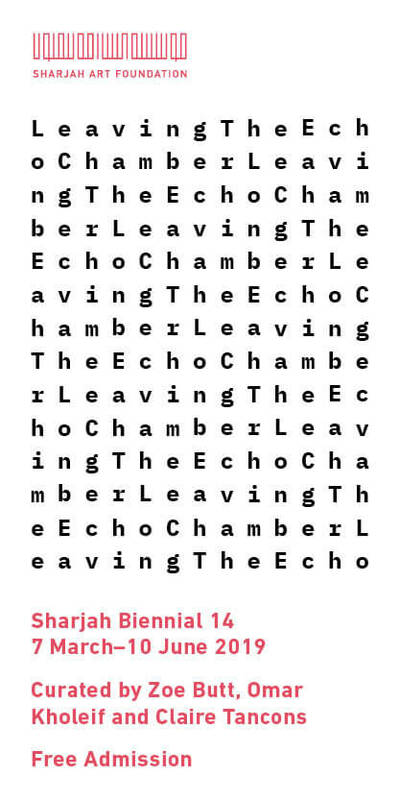 I think I became ‘enchanted’ by the chanting of the language. Much later, at Howard, my mentor and advisor, Jeff Donaldson, urged me to “go back to Ethiopia” – to look to my culture for inspiration, and it was then that I began work focused on the visuals of Amharic calligraphy. What is the process behind creating your work? Have you ever worked with any other mediums, and if so – have your processes always been the same, or do they differ according to medium? My process in creating is both simple and complex. I never pre-sketch for my works. Instead, I stand in front of a prepared canvas that is stapled to my studio wall, and I begin working. I staple my canvases to the wall because I work not only with brushes, but with other tools, such as thin or wide palette knives, and even with my whole hands. Painting is a tactile experience and I like feeling the changing surface of the painting as I work. Although I do not pre-sketch my paintings, I do spend time looking at others’ art works, at magazine advertisements, at architecture around me, at gardens, flowers, animals, fashion, emojis – I look intensely at the world around me, and I go from there. I’m in the studio every day. I may start two or three canvases at one time, and then one speaks to me, and I remove all others and focus on the dialogue between that canvas and what’s going on in my mind, my body, my soul. I describe that intense process, when focusing on one work, as a process of accident and intention, of inchoate exploration, of uncertainty and mastery, of building and destroying colors and forms. When working on a painting, I am both child and master: I see color with experienced eyes, but also explore, as a child might, the play of colors on the canvas, the innovative mixing of paints on my glass palette. Each day in the studio, I am an inventor, an innovator, looking endlessly for ways in which to express what I’m feeling and thinking. Over the years, my process has become more complex because I have become more experienced. At the same time, I observe that I also work toward simplifying my paintings, getting at the essence of script forms, listening as they speak with each other and with me. The process has always been a dialogue, some days noisy, other days quiet, but always an engaging dialogue between me and the canvas. Wosene Worke Kosrof, Speaking of Coltrane, 2017. Acrylic on linen, 95 x 100 cm. Courtesy of the artist & Addis Fine Art. Being a veteran in the art world for decades, have you seen a significant shift in the art world from your early years in the industry to the current time? You have also mentioned that jazz has had a large impact on you and your work, could you elaborate more on this? Have these events had any diverse effect on your art-making practice? 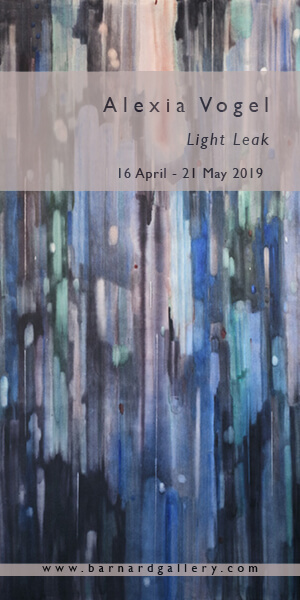 I’ve been exhibiting my works for almost fifty years now, and – yes – the art world, the art markets, have changed dramatically since I began in the early 1970s. For one thing, the international and regional art fairs, in the past twenty years, are gradually supplanting commercial galleries. That’s a big shift, and art fairs have been important venues for presenting many international, and especially African, artists to international viewers and collectors. Secondly, in recent years, the art world has finally ‘discovered’ the wide ranging art forms coming out of Africa – and that has been an important shift! 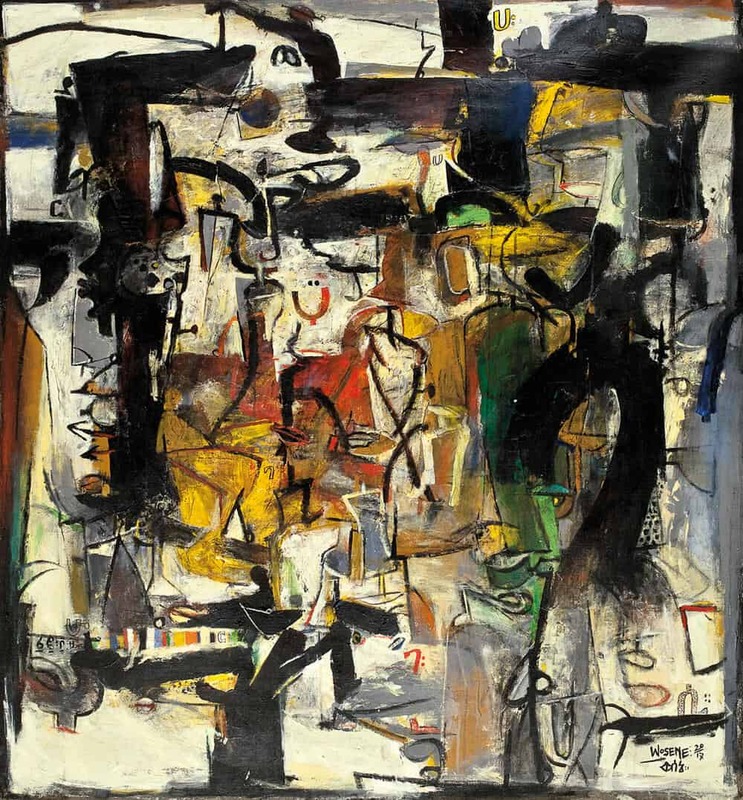 Art has always been a vital component of life in Africa, but African artists were largely ignored or relegated to dark corners of the art world and viewed as exotic creatures producing primitive (sic) works. Now many highly talented artists, living both in and outside Africa, have made their reputations internationally. Early in my career, I was always labeled an African artist, or Ethiopian artist, and, while indeed I am African-born, I see myself today as an international artist, an American artist who happened to be born in Africa. Africa/Ethiopia will always be a major influence in my works, but I have now lived longer in the U.S. than I lived in Ethiopia, and the U.S. too has exerted its influences on my paintings. Thirdly, the markets for African art have, fortunately, greatly expanded. However, I want to say that, when I’m working, I paint for myself and not for the market. But realistically speaking, as any successful artist can tell you, the ‘market’ forces can often intrude on your creative process. It’s a struggle to keep centered and focused on who you are and what you are creating. I paint for my pleasure, for my joy and sorrow about the human drama, the human condition. And I paint to unravel the scrolls and fabrics of who I am as a person, as an African, as a U.S. American. It’s hard work. Finally, you ask about jazz and its influence on my painting process. As an undergraduate in Addis Ababa, I started listening to jazz, even bought a few records that I played while painting. In the early 1970s, Duke Ellington came to Ethiopia and I had the opportunity to meet him. That was a defining moment for me – I realised that the sounds, the rhythms, the improvisations in jazz spoke to me, inspired me. Now, almost fifty years later, I still paint to jazz, and have expanded my repertoire to bring Coltrane, Miles, Thelonius, and so many other jazz greats into my works. FEATURED IMAGE: Wosene Worke Kosrof, America: The New Alphabet, 2017. Acrylic on canvas, 200 x 355 cm. Courtesy of the artist & Addis Fine Art.